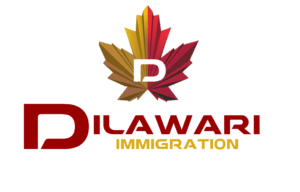 Dilawari Immigration Services Inc Led by Jaswinder Singh Dilawari , RCIC, is a trusted and experienced Canadian Immigration Consulting firm located in Surrey,British Columbia, Canada, with Authorized and Regulated Canadian Immigration Consultants. ICCRC is the national regulatory authority designated by the government of Canada to safeguard consumers who seek and retain the services of consultants who provide immigration services to Canada. Before you start on your path, be sure that you know what to expect. We can assist you by giving you a clear picture of the immigration environment, your options and the steps to take. Once you have a better understanding, then you can decide whether you want to hire our team to handle your full application. One of our licensed immigration consultants can speak with you in person, online or on the phone about your unique immigration situation and to give you a breakdown of your options. We work with honesty to give you transparent sevices. Looking for a Free Initial Consultation?